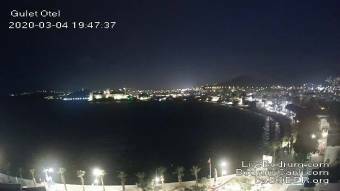 Webcam Bodrum: View over Bodrum - A panorama view over the city of Bodrum towards the Mediterranean Sea. Kos Town: Harbor and Castle of Knights, 12.7 mi. Mandraki (Nisyros): HD City Panorama, 34 mi. Theologòs (Rhodes): Surf and Kite Theologos, 56 mi. Paradisi (Rhodes): Rhodes International Airport 'Diagoras', 56.7 mi. 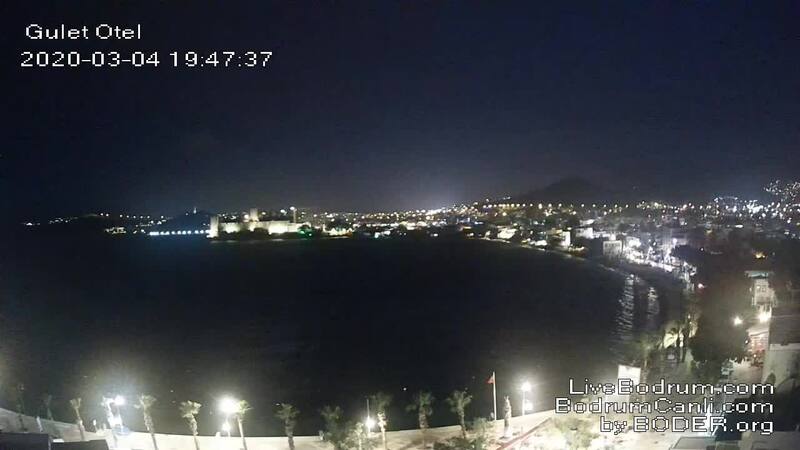 This webcam Bodrum with the theme Seaview was added on April 23, 2009 and is operated by WunderGround. It got 120902 visitors since then. Shouldn't this webcam work or should the link be wrong please report that here. You can add this webcam here to myCams.